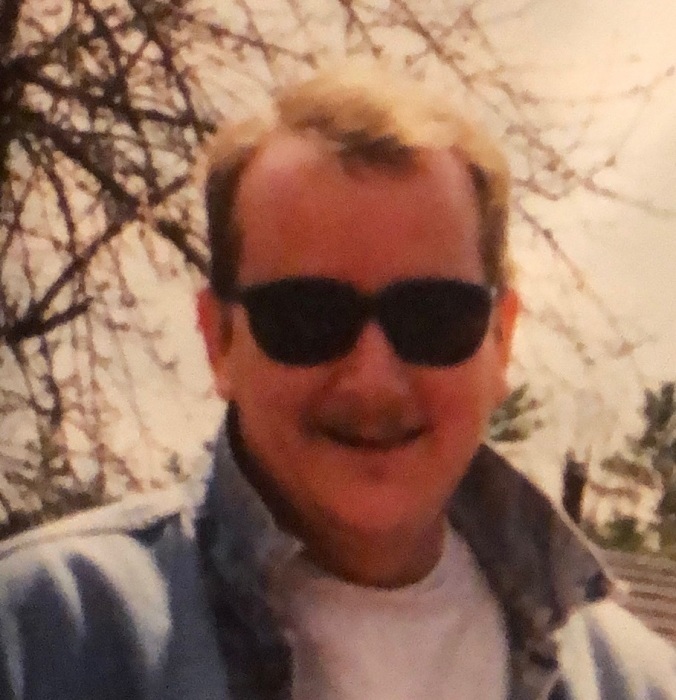 Robert “Bobby” Chapman 56 of New Gloucester, passed away on March 25, 2019 at his home in New Gloucester. He was born in Portland, Maine the oldest of three children. Bob grew up in Gray and following graduation from GNG High School he enlisted in the Air Force to become an Air Traffic Controller. He had fond memories of his service time stationed in Germany and touring Europe. Upon leaving the Air Force he continued working as an Air Traffic Controller in New York and later at the Portland International Jetport in Portland. sitting outside and watching the neighboring cows that abutted his property. He loved his pets as they were always by his side, especially his “Huskie “Grace” and German Shepherd “ Dutchess “. He is survived by his longtime companion Gail Marriner, mother Margaret Olson Thomas and her longtime companion George Skelton, brother Bill Chapman and wife Beth, sister Judy Rand and husband Greg. His nephew Ryan Rand and wife Jennifer. Father Ronald Chapman. And a very Special niece Heather Chapman, Great niece Ainsley Rand, Great Nephew Brayden Rand. Aunt Madelon Sullivan, Uncle’s John Olson and Aunt Ruth, Lew Bradley and Jim Bradley. Several Cousins.